Sky Atlantic has announced the cast for the second series of Anglo-French drama The Tunnel, along with a new trailer. 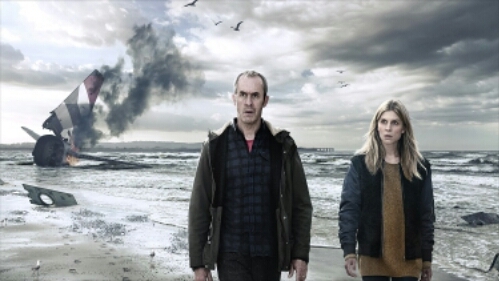 The new series titled: The Tunnel: Sabotage, sees the addition of Emilia Fox (Silent Witness), Clarke Peters (The Wire), Paul Schneider (Parks and Recreation) and William Ash (Shameless), who will join original International Emmy award-winning lead actors Stephen Dillane and Clémence Poésy in the eight part drama. Angel Coulby reprises her role as Laura Roebuck, with Con O’Neill, Johan Heldenbergh and Hannah John-Kamen completing the line-up. Written by Ben Richards and produced by Kudos and Shine France films, The Tunnel: Sabotage reunites the newly promoted French Commander Elise Wasserman (Poésy) and British DCI Karl Roebuck (Dillane) when two seemingly isolated events bring them back together from their seperate lives after a French couple are abducted from the Channel tunnel, leaving behind a traumatised small child, Chloe Fournier. When a plane crashes into the Channel, killing everyone on board, Karl and Elise are faced with bigger questions; forging connections from the clues thrown up by a vast field of debris, the closer they get to their assailants, the more elusive justice seems. Emilia Fox plays Vanessa Hamilton, whose sinister business dealings are under investigation, and Clarke Peters stars as Sonny Persaud, a renowned academic whose estranged daughter Rosa suddenly re-surfaces in deadly circumstances. Helping Elise and Karl will be a cross border team, including British Detective Constable Borowoski (William Ash), Detective Superintendent Bowden (Stanley Townsend), Head Of French Counterterrorism (Thibault De Montalembert) and Lieutenants Renard (Juliette Navis) and Viot (Cédric Vieira).